Conversations in ASL is a brand new community class developed by instructor Galinda K. Goss-Kuehn. 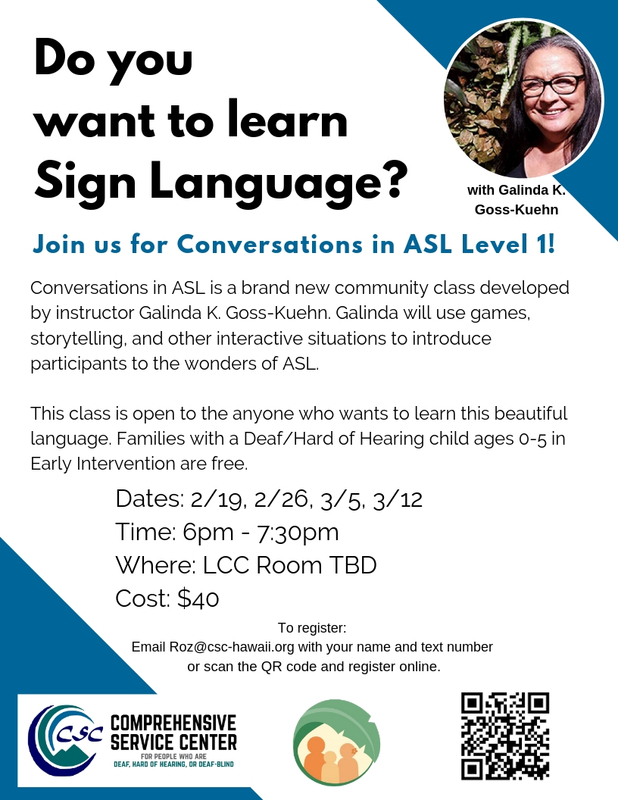 Galinda will use games, storytelling, and other interactive situations to introduce participants to the wonders of ASL. This class is open to the anyone who wants to learn this beautiful language. Families with a Deaf/Hard of Hearing child ages 0-5 in Early Intervention are free.